The court also found the government presented substantial corroborating evidence that the defendants knowingly and voluntarily participated in a single conspiracy and disagreed with defendants’ arguments that they were merely on the scene of drug trafficking. It found that each either sold drugs. The court concluded that evidence of frequent coordinated drug sales rebut each defendant’s argument that he merely decided to sell drugs by himself, for his own account, in front of the same areas where some of the people he knew were also selling drugs. The court rejected the defendants’ attack on the veracity of the testimony of witnesses cooperating with the government about the quantity of drugs that they conspired to distribute because the jury has the exclusive province over witness credibility. For the testimony of a government witness to be incredible as a matter of law, it must be unbelievable on its face, that is the testimony must about facts that the witness physically could not have possibly observed or events that could not have occurred under the laws of nature. The defendants offered no reason to conclude that the cooperating coconspirators could not have possibly observed the operations of the conspiracy and the quantity of drugs sold by its members. Chacon argued through his criminal defense attorney that the federal trial court in Miami committed error for refusing his request for an entrapment instruction to the jury for the charge of possession of a firearm by a convicted felon. But the court found no evidence that the detectives involved in the case attempted to persuade him to sell a gun and was not responsible for the underlying offense. 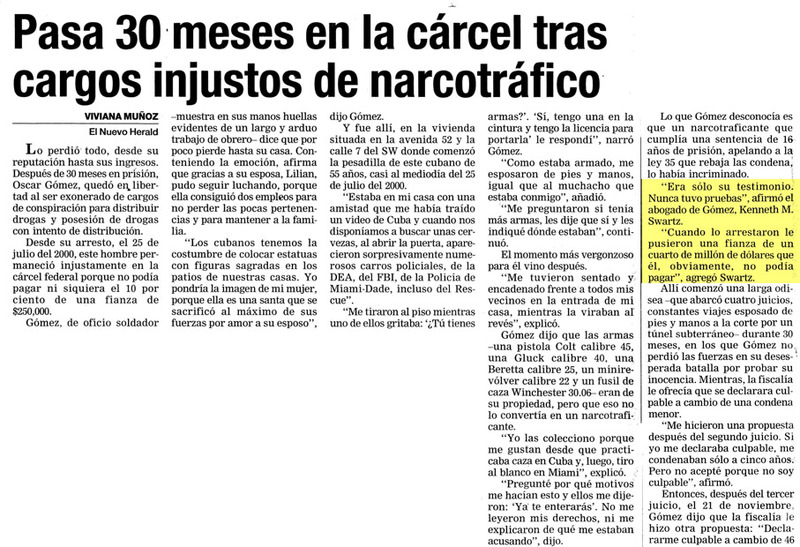 The court upheld the district court’s calculation of the quantity of drugs that Chacon was responsible for in this conspiracy. The district court was entitled to rely on the government’s witness testimony about the Team activities to approximate the drug quantity attributable to him in light of his substantial role in the conspiracy.